Creating Loving Attachments by Kim S. Golding and Daniel A. Hughes is a book that was written for parents of children with trauma (predominantly fostered and adopted children), but is in fact a book for all parents. In Creating Loving Attachments, Golding and Hughes teach the reader about P.A.C.E. theory. A parenting model they have created based on Playfulness, Acceptance, Curiousity and Empathy. The ingredient not overly discussed but essential is that this type of parenting is assumed to come from a foundation of Love. Golding and Hughes litter the book with examples of how communication can and does go wrong and how a change in strategy to impliment P.A.C.E can improve these exchanges. The theory of P.A.C.E was created by Hughes as a parenting communication strategy primarily for the parents of fostered and adopted children who will have experienced trauma in their formative years and perhaps beyond. However I believe that approaching all parenting with love, playfulness, acceptance, curiousity and empathy can only be good. 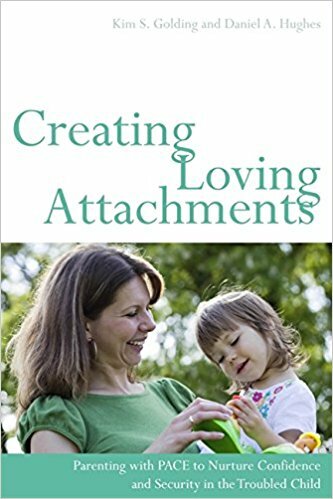 This is a great approach to all communciation and parenting and so I believe Creating Loving Attachments is a great read which I hope you enjoy and find beneficial in many aspects of your life, communications, relationships and parenting. To order your copy, click this link.